BNP chairperson Begum Khaleda Zia has called ‘an emergency meeting’ of party Standing Committee to discuss preparations of observing party’s 38th founding ceremony on September 1. 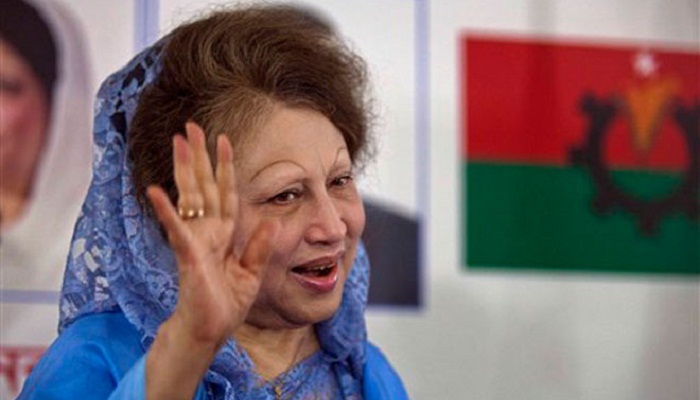 The meeting will be held at the Gulshan office of the BNP chairperson on Thursday night, party officials said. The newly selected 17 members out of 19 will attend the meeting, sources said. BNP chief called the meeting on Tuesday night after the announcement of the programmes set for marking its 38th founding anniversary. Earlier, BNP secretary general Mirza Fakhrul Islam Alamgir announced the programmes at the party’s Nayapaltan central office this afternoon. The programme include rally, discussion, hoisting party flag, placing wreaths at the grave of party founder Ziaur Rahman. The programmes were worked out at a joint meeting of the party’s newly formed execute committee’s joint secretaries general, origanising secretaries, secretaries and assistant secretaries with the leaders of its associate bodies held at the party’s Nayapaltan central office with BNP secretary general Mirza Fakhrul Islam Alamgir in the chair.